You and Faith both do good work with your presentations and with your selfies. 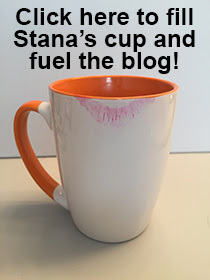 Is that a real reproduction of a genuine Cosmo cover or is it the work of the Stana elf? I plead innocent. I found the Candy Cosmo cover on the Internet and I am 99% sure it is not a genuine cover. of course back then cosmo only ever featured professional models as cover girls, who had nothing to do with the content inside. but sadly like most magazines they now have to feature slebs (and it wouldn't surprise me if that included transgender ones) on the front in order to keep publishing. but were any anonymous transgender models featured (knowingly or otherwise) before the cult of celebrity kicked in? Thanks for the shout out! 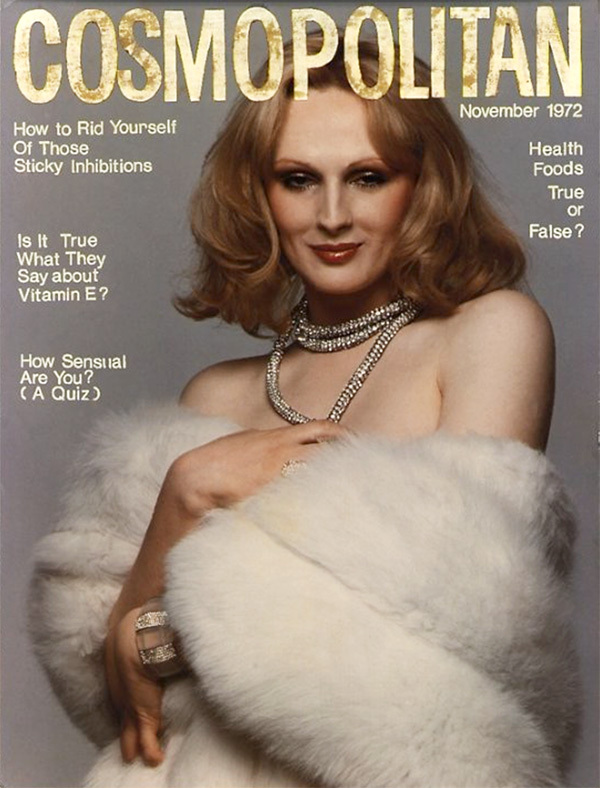 Love that Candy Darling cover. One other thing about selfies- take hundreds. Take thousands. Professional photographers will take a thousand photos to get one great one. That's just how photography works. When I take shots, I'll take 400 or more just to get 8 goods ones for my blog. And the other 392? They are neither good nor flattering and that's okay. It's a numbers game. just to add: i suppose in this case it's also proof that the good old english reserve is still alive and well (certainly among us older "limeys", anyway). i normally think that's a good thing in this ott world of today, but that's an exception!